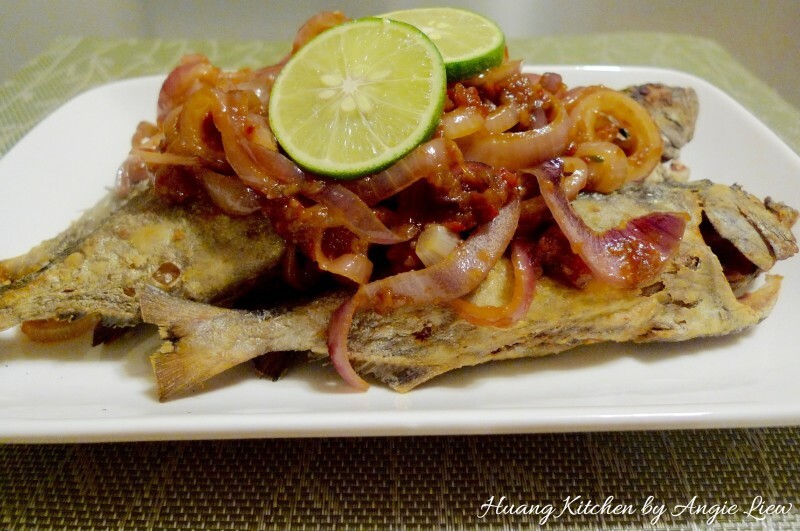 If you like spicy seafood, you’ll absolutely love this crispy chili onion fish that is surprisingly simple to cook using just a few ingredients. 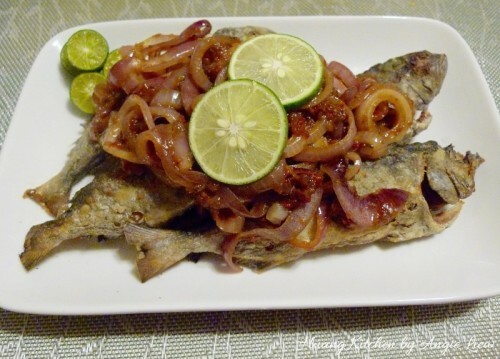 You can use any kind of fish or even fish fillets that are suited for deep frying. Just fry the fish in hot oil until soft on the inside and crispy on the outside. 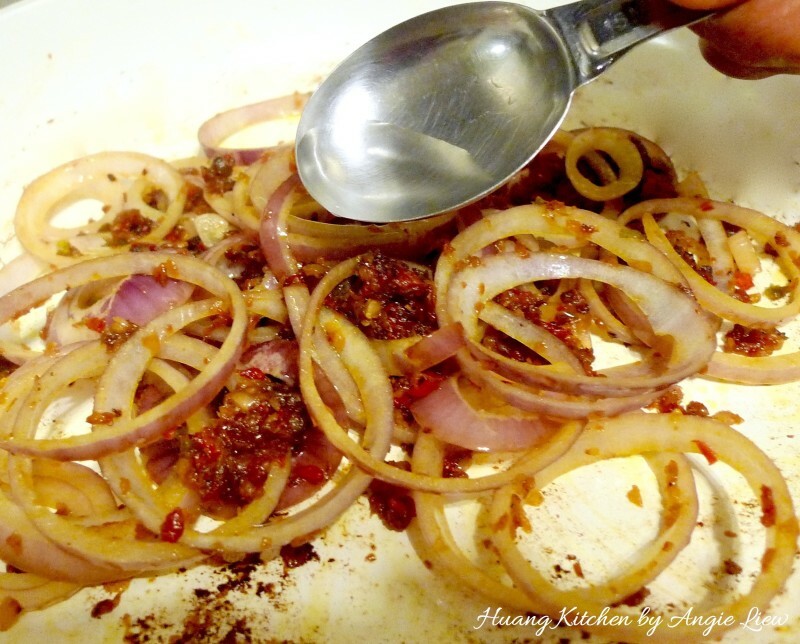 Then dress with aromatic sweet and spicy onion chilli paste. 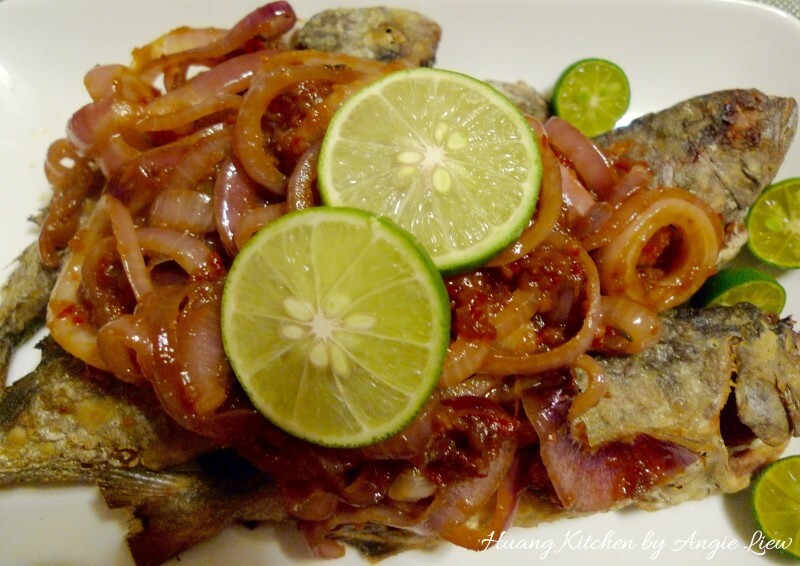 This is an extremely simple recipe using either whole fish or fish fillets crispy fried with an Asian inspired dressing. Just fry the fish in hot oil until soft inside and crispy outside. 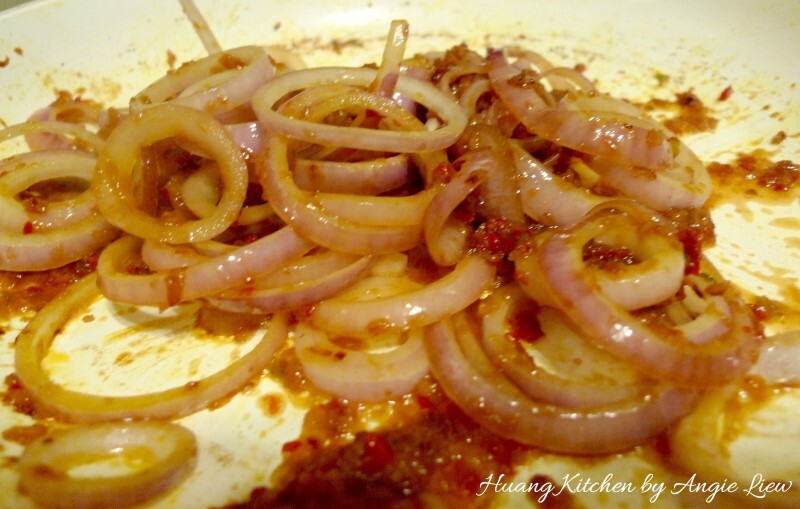 Then dress with aromatic sweet and spicy onion chilli paste. Prepare ingredients to make chili paste. 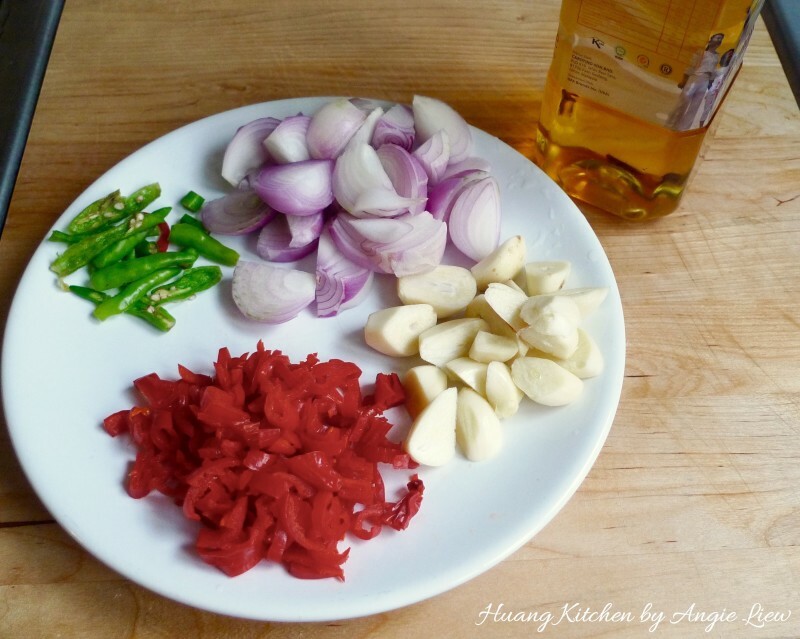 Blend the chili paste ingredients in a blender until it is smooth and fine. Dish out and set aside. 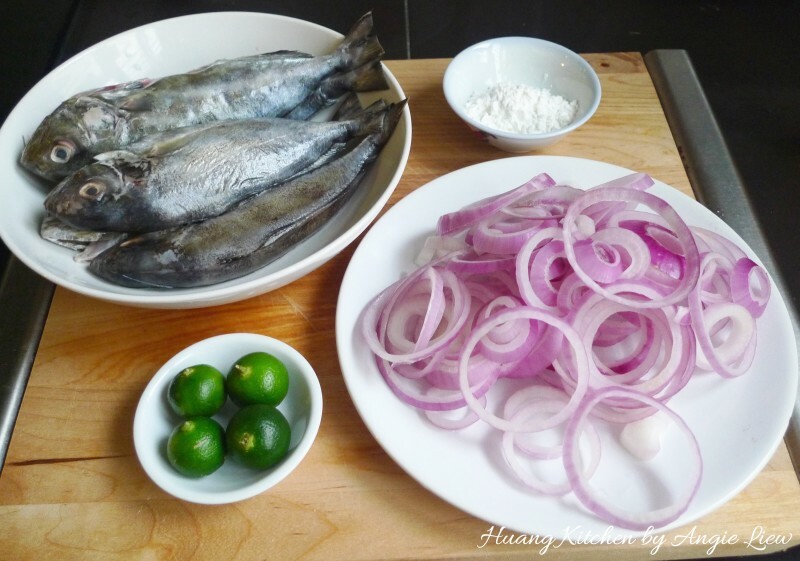 Clean, gut and drained well the fish, cut the onion into thick rings, have ready calamansi lime and also cornflour for coating the fish. Prepare the seasoning for this dish. 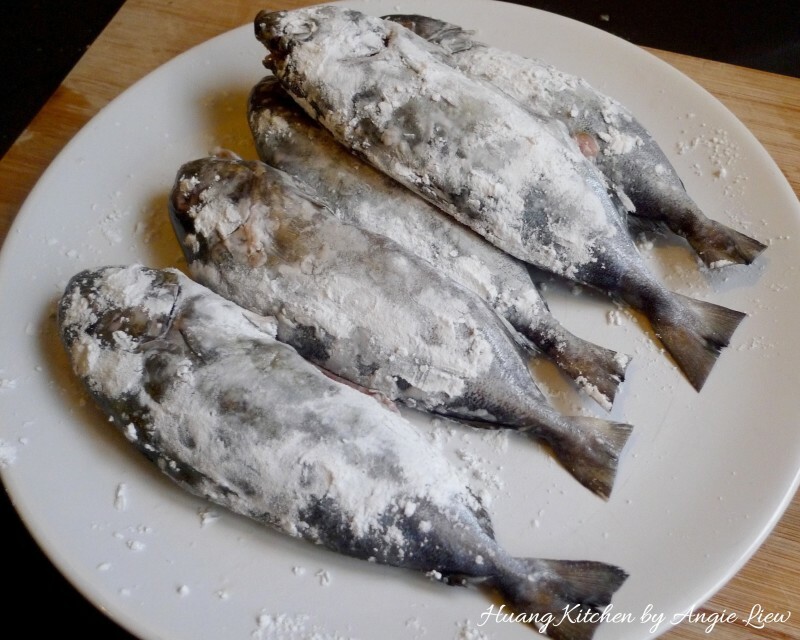 Coat each of the fish with cornflour. Deep fry the coated fish in hot oil on high heat until cooked through and golden in colour, about 5 minutes on each side. Remove the fish from the oil and drained on a plate lined with kitchen paper. Then place on serving plate. 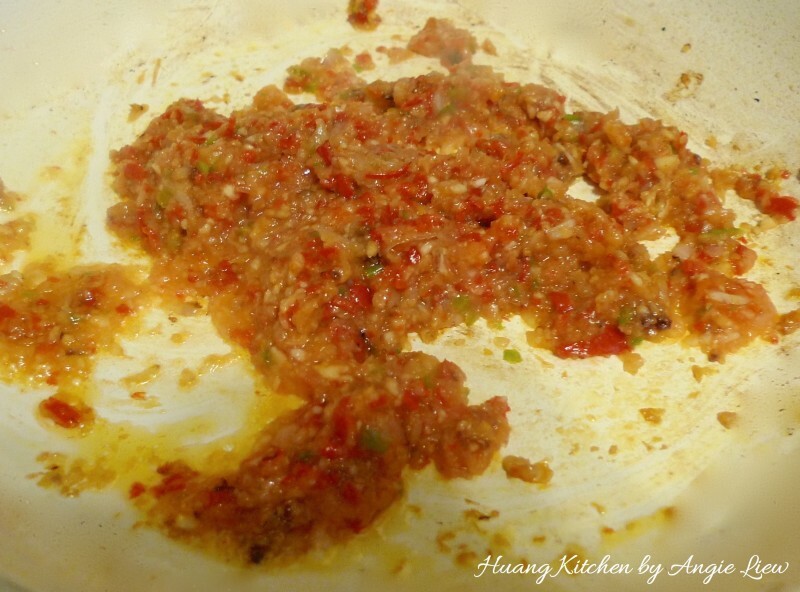 In the same wok, heat up 2 tablespoon oil and add in the blended chili paste, stirring on medium heat until fragrant. Add in the thick onion rings and continue to stir fry. Then add in some hot water. Next, add in the seasoning. 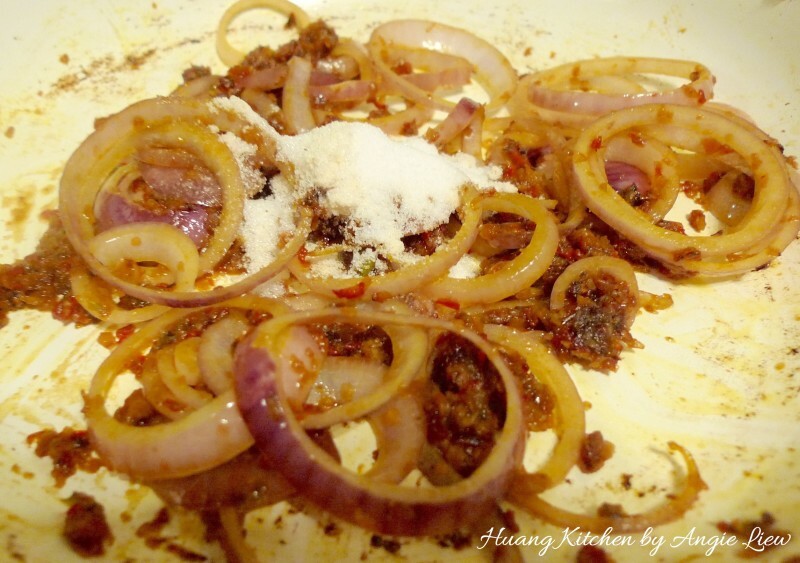 Toss to make sure the onion rings and seasoning are well blended with the chili paste. And we're done! 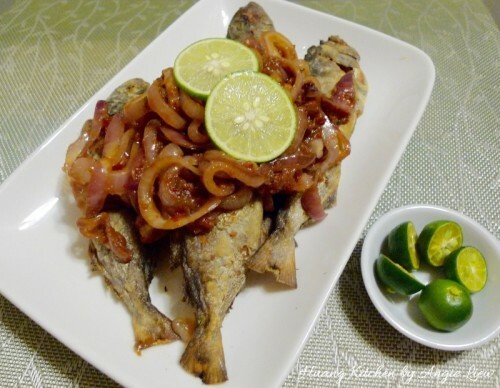 Spread the cooked onion chili paste onto the fried fish and squeeze calamansi lime juice over the fish before serving. Garnish with cuts of lime and ENJOY! You can vary the red chilies and bird's eye chilies added according to taste.